TheMarangu Route is the oldest, most well established route. The route was counted many years as the most popular route to the summit due to its gradual slopes. Marangu Route is also known under the nickname Coca-Cola Route, due to its high popularity and relative simplicity to climb. However, in the recent years Marangu Route was displaced into second place by the more popular Machame Route. 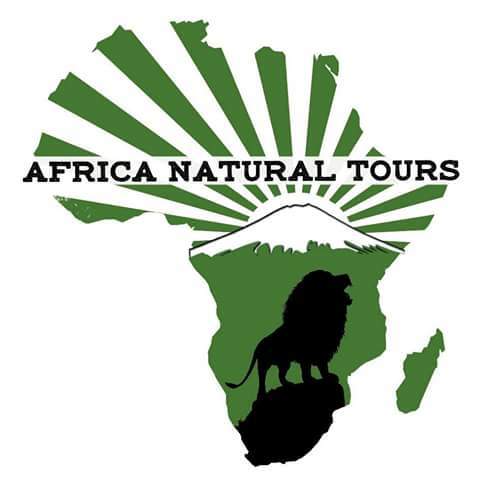 Advantages: The Marangu Route is the cheapest and fastest route (five or six days) up to Mount Kilimanjaro. It is the only route with hut accommodation in a dormitory style. Therefore climbers do not need camping equipment, which reflects in the number of porters. The beds in the huts are limited, so that only a certain number of climbers per day are allowed on this trek. It is considered due to its gradual slopes as the easiest of all routes. Disadvantages: The rapid climb is not always the best. The chance of making it to the top in five days is very low and an extra acclimatization (sixth) day is highly recommended to summit Kilimanjaro. Not without a reason is “pole, pole” (slowly, slowly) the motto on Kilimanjaro. Due to its shortness the success rate of making it to the peak is lower than on the longer routes. Marangu Route compared to its sister routes has less scenic variety, because ascent and descent follow the same trek. Machame Route is the favorite route among climbers. It is also referred to as the Whisky Route. The classic duration to the top is 6 days, though an extra acclimatization day can be added. It is alongside Lemosho Route the most picturesque route on Kilimanjaro. The hike follows steeper paths and is more adventurous, especially because of the famous Breakfast Wall (Barranco Wall). On the fifth day Machame Route merges with Lemosho Route. Both routes take from here the same trek up to Uhuru Peak. Advantages: The Machame Route is known as one of the most beautiful routes. The route follows the climbers’ philosophy to hike high and sleep low and therefore offering excellent acclimatization and success rate to the summit. As a classic camping route Machame Route is not limited, this in turn leads us to the disadvantages. Disadvantages: In recent years, Machame Route has immensely grown in popularity, which is owed to the limit amount of climbers on Marangu Route. Climbers should be prepared that especially in high season it can get very busy. Lemosho Route is one of the quieter routes with fantastic views. Your trek to the summit is possible via a seven or eight days trek. The route meets, on the fifth day, at the Shira Plateau, the popular Machame Route and from there shares the same path to the summit. Advantages: It is the longest route and provides, through its duration, the best conditions for acclimatization. Small number of climbers choose Lemosho Route, thus it is one of the quieter routes and our secret favorite. Disadvantages: Due to its length climbers that favor Lemosho Route should be prepared to pay more. 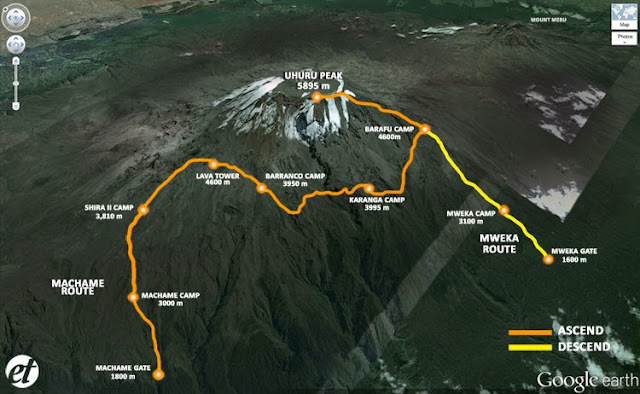 Rongai Route is the only route that approaches Kilimanjaro from the North, along the border between Kenya and Tanzania. It is considered as the wildest and quietest route. The North is also drier and less wooded, which makes Rongai Route the ideal route for the rainy season. Advantages: Rongai Route captivates with rough wilderness and fantastic panoramas. The Northern slopes receive less rain and thus have better conditions for hiking. Rongai Route is the least populated route. Disadvantages: The route does not follow the principles of climbing high and sleeping low, a seventh day for acclimatization is therefore strongly recommended. The Northern Circuit route is the newest and longest route – and did we say it’s also truly beautiful? You’ll take nine days to reach the summit and, boy, you’ll remember every single one of those nine days! Advantages At nine days it’s the longest route, so it’s the best route for acclimatization and so you’ve the best chance of reaching the top. This route takes you almost 360 degrees round the mountain, so you’ve a new scenic beauty every day. Because it’s the newest route to open, the paths are definitely less travelled so you’ll be one of the first to experience it. Disadvantages it’s a long route so, yes, it costs a little more so it’s not so good if you’re watching your wallet.